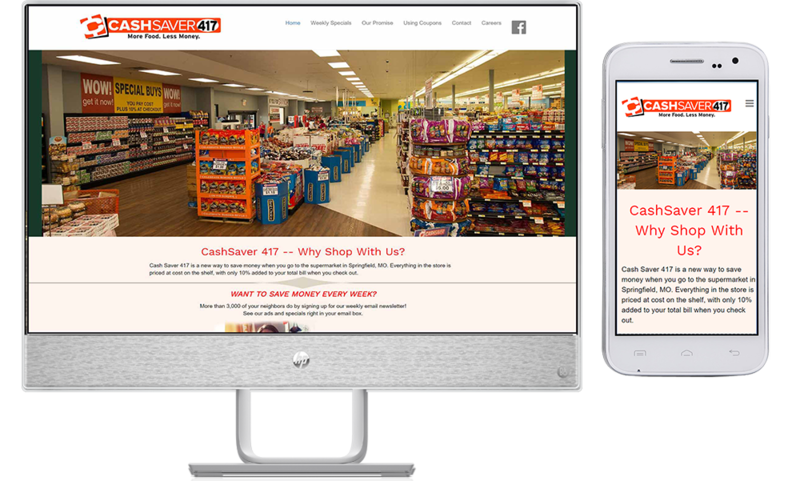 CashSaver 417 hired us to build their site a number of years ago - back before mobile friendly was a big deal.The original site was very successful for the company, and we recently recreated the site in mobile friendly WordPress. This independently owned discount grocery store has a unique sales model. And it has gained huge popularity as its reputation has spread. We not only manage the site -- changing the weekly ad online -- but also design and mail their weekly newsletter featuring the week's grocery ad. It's a combination for success!